Exciting news from Kodable HQ! 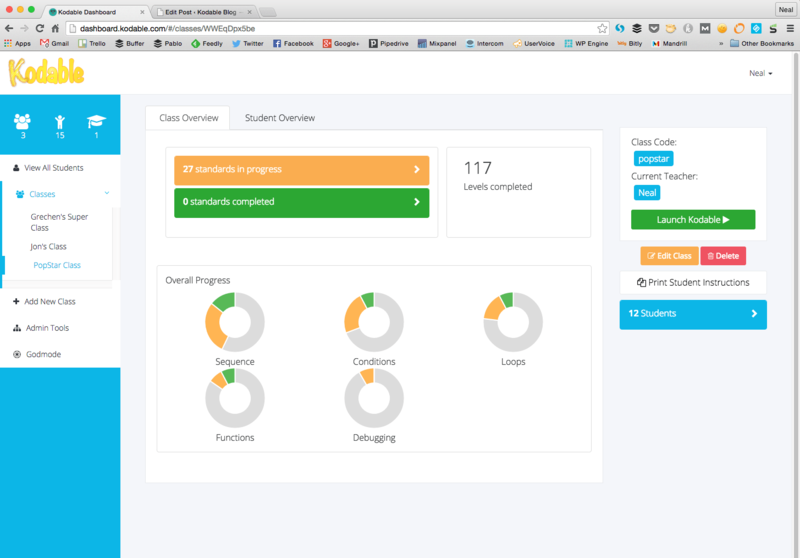 After finishing up some major updates to Kodable Web, we are ready to release our new Teacher Dashboard! 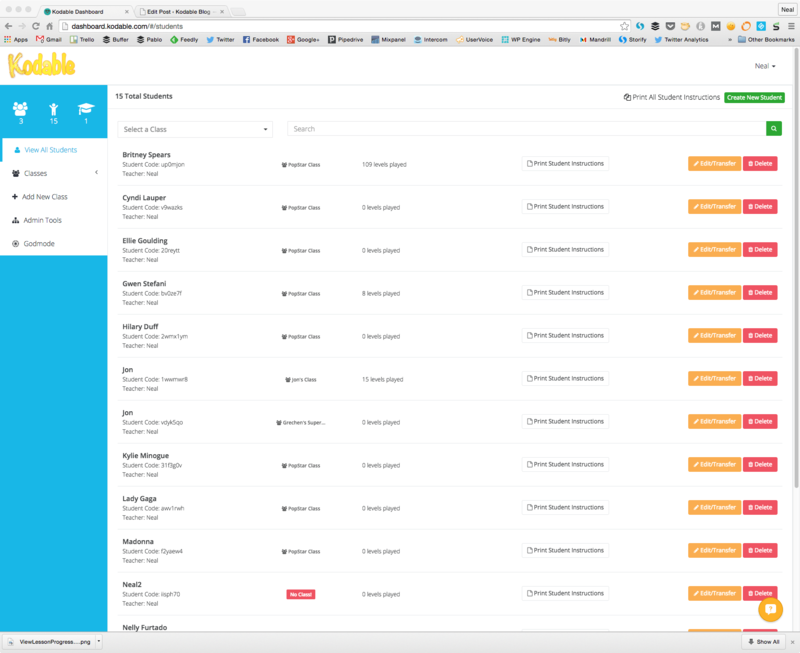 As of this moment, our new Teacher Dashboard is live and available for Public Beta in your Kodable Teacher Account. 3. Click on link in the header to try the new dashboard! 4. Presto! Welcome to your new Teacher Dashboard! What’s new on the Teacher Dashboard? Our new Kodable Teacher Dashboard is loaded with a ton of new features to help you with get the most out of your Kodable Curriculum. 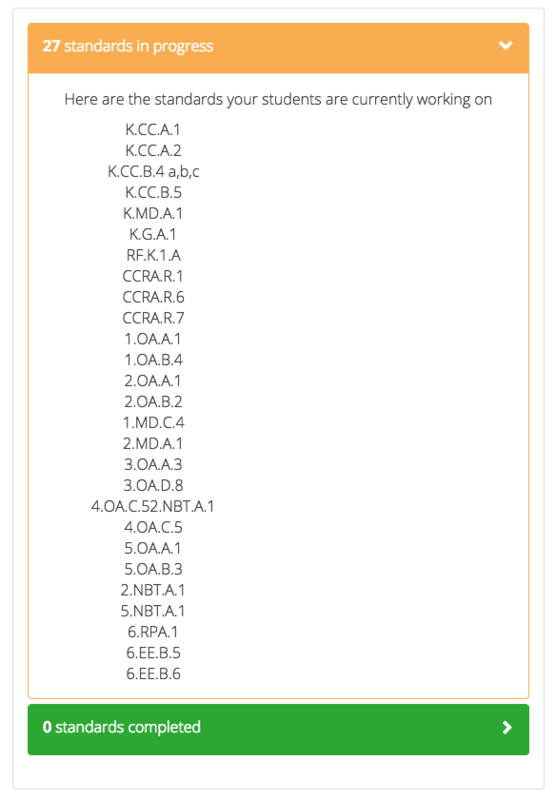 You can complete many CCSS standards using Kodable. Take a look at what standards your students are working on, and which ones they have completed. Quickly glance at your class’ progress and see what lessons they have yet to complete. 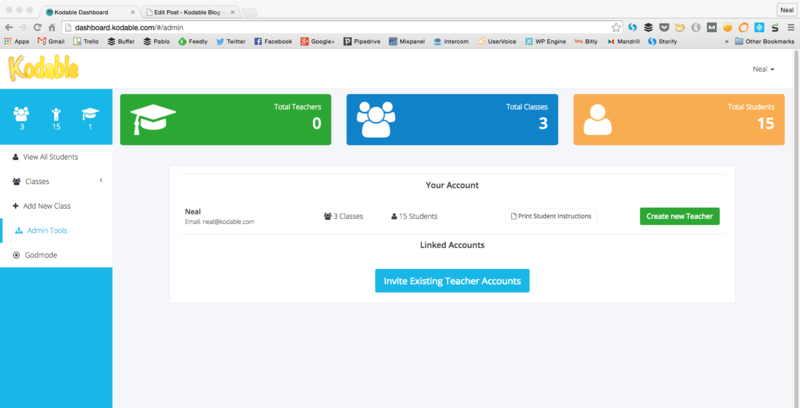 Kodable School account holders can now easily manage their school’s Teacher Accounts from a single page. Introducing the new Kodable Curriculum! Learn Sequence, Conditions, Loops, Functions, and Debugging using Kodable’s learning guides, unplugged activities, video tutorials, and lessons. 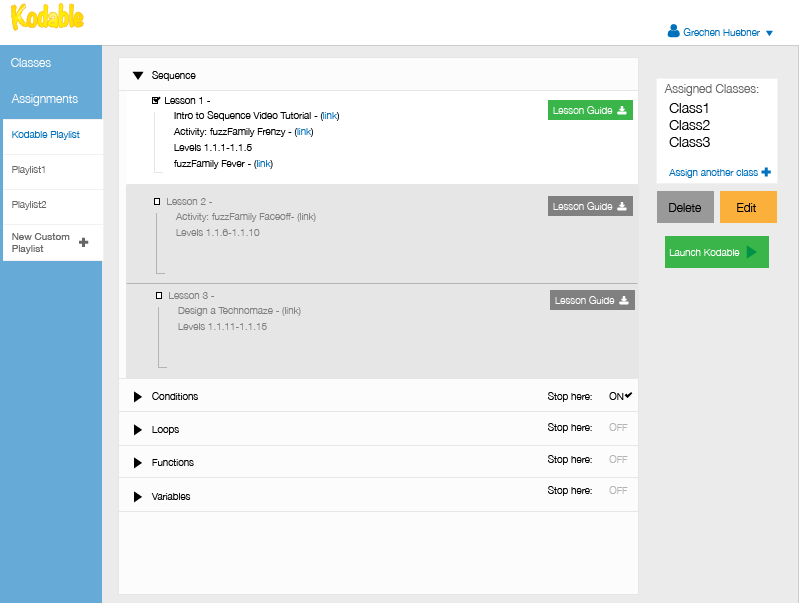 Quickly view and edit all of your students in every class from a single page.